It is referred to as the “architecture of the universe” and even the “fingerprint of god.” This has been regarded over the ages as some of the most secret information from cultures around the world. 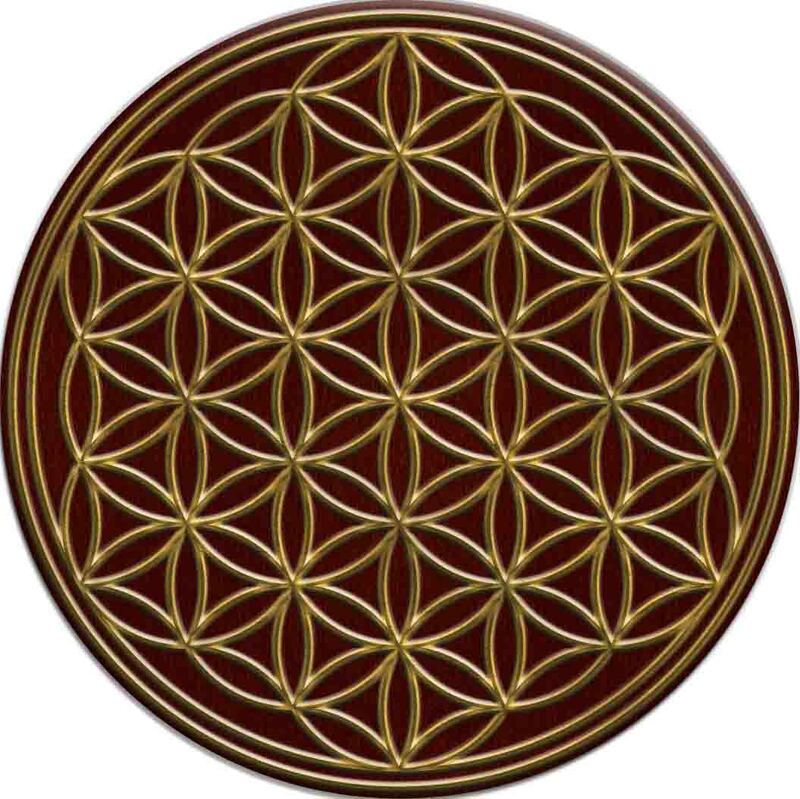 But why is sacred geometry so important? 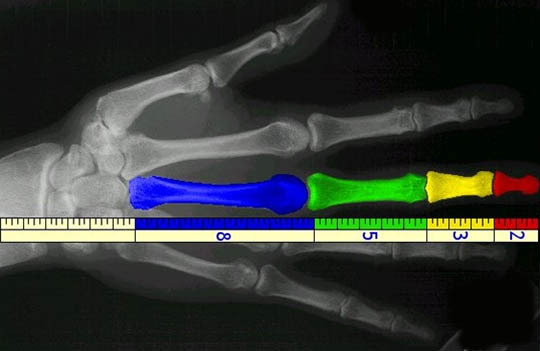 It’s because it gives us a way to predict and understand everything about our reality using geometry, mathematical ratios, proportions, and harmonics. As Einstein put it, “The field is what governs all particles.” The “field” he was referring to was invisible energy (void space) and the “particles” refers to all matter. 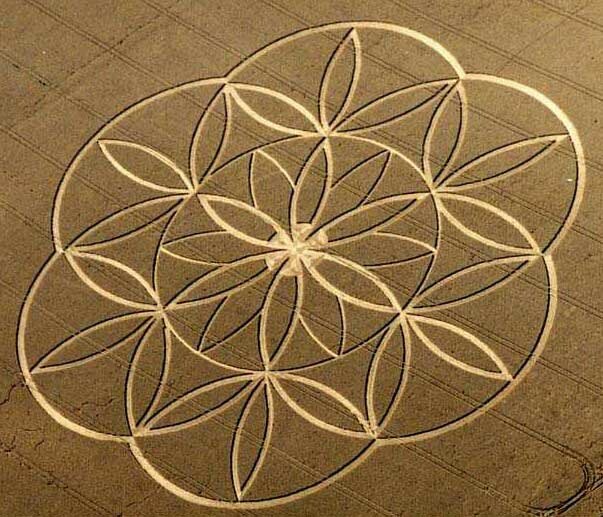 Sacred geometry is then explaining to us the most elusive “secretive element” of our world, which is energy. 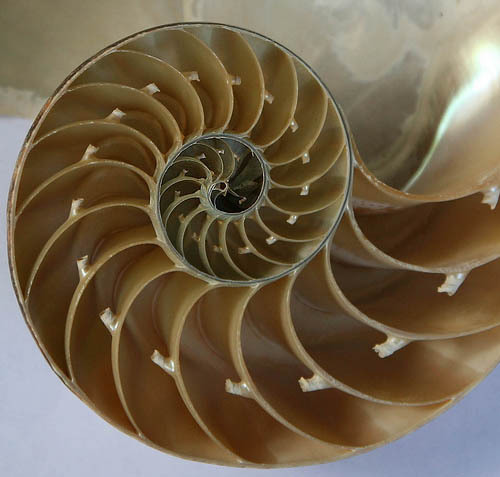 The only way we can understand its behavior in its various forms is through mathematics. “Energy cannot be created, nor destroyed. It can only be converted from one form to another.” Energy is therefore everything! Period. 5 countries got together to financial a 10 billion dollar particle accelerator that’s over 17 miles long in search of the “god particle”/ the smallest particle. When in reality understanding the pattern (i.e. 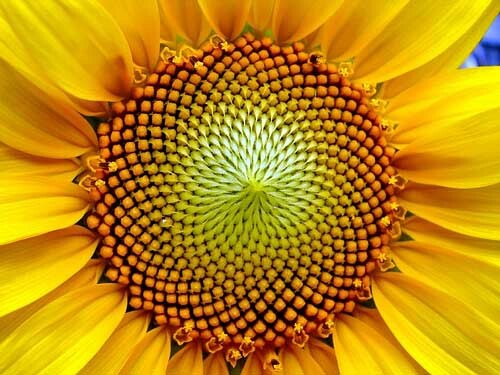 sacred geometry) is far more important; this tells us how the universe creates. There are a few other interesting numbers, like 200 billion: neurons in brain, stars in Milky Way galaxy (as above, so below). The golden number/ratio (phi) can be seen in great architecture like the Parthenon, and many medieval cathedrals, and the pyramids. This is nothing in creation in the universe that is not directly constructed through the proportions, shapes, and forms of sacred geometry. Even things that you would never think were geometrical. All types of crystals (over 100,000) under a microscope show one of the 5 platonic solids as a structure, and viruses typically show polyhedrons for example (meaning all viruses could be cured with this knowledge, which there have been studies that have shown this). The structure of every element is a function of a cube at an atomic level. 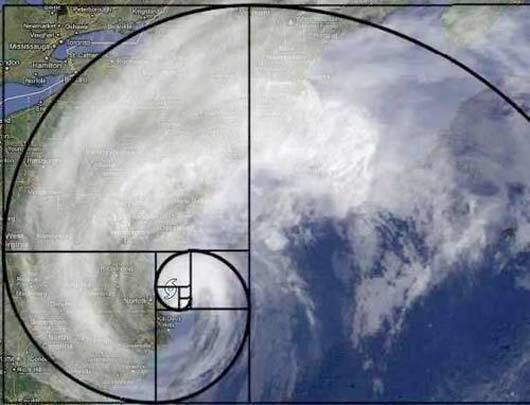 Fibonacci sequence (0,1,1,2,3,5,8,13,21,34,55,89,144,233… and goes on forever, represented as a spiral) is related to how organically everything unfolds in the universe. The key behind everything in the universe is Phi (1.6180339… and goes on forever, possibly suggesting how “life” can never end.) 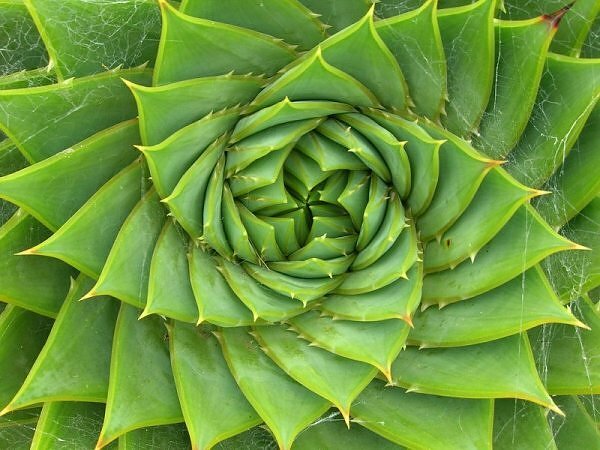 It is crucial to life, because life intuitively knows this ratio and strives toward in via following the Fibonacci sequence as a guideline to growth. 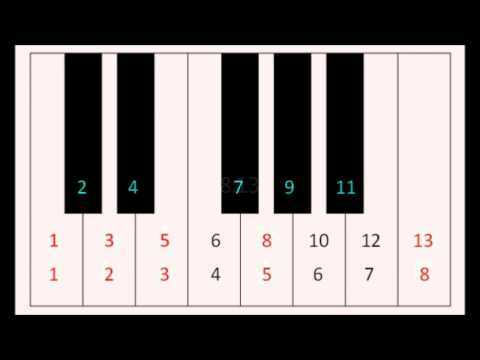 If you divide two numbers next to each other in the Fibonacci sequence you will get a number very close to phi, and as the Fibonacci sequence grows that number infinitely gets closer to phi, but never quite becoming phi. Using this sequence life continues begins to move closer to this golden number. This can be seen as the metaphor of life, we all continuously grow towards perfection getting better each day, although absolute perfection is impossible. Possess the ability to harness unlimited free energy, master gravity allowing for levitation of any object, master space and time, master genetic engineering, physic abilities, and the list goes on endlessly. Unfortunately I won’t be able to give you the exact answer to these things, but this is the first step, the key to open the door to all of this. Guaranteed to provide you with a much better understand of the crazy world around you. 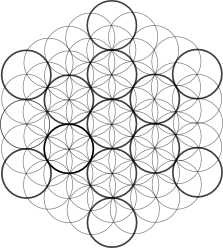 Flower of life, not etch or carve, but somehow burned into atomic structure of the granite pillar at the ancient Egyptian osarian temple. In China, Fudar is the guardian/protector of all knowledge of the universe according to a quote at the forbidden palace, and leading to the emperor’s throne is Fudar with his paw on top of the flower of life. 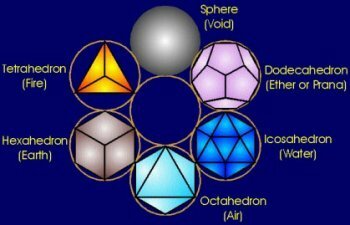 5 platonic solids from the Fruit of Life – i.e. tetrahedron (fire), cube (earth), octahedron (air), icosahedron (water), and dodecahedron (ether or prana or energy or spirit or life force energy or chi). The combination of these 5 forms created a discipline called alchemy. 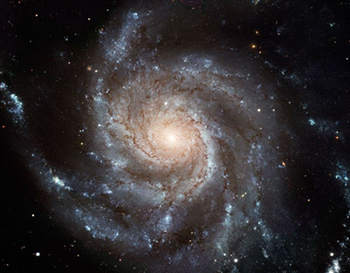 It was the understanding that a blending of a combination of these 5 things created everything in our reality DNA molecule is what contains the knowledge of Cosmologists in France and the U.S. suggested that our universe may actually be in the shape of a dodecahedron based upon their study of the point void background radiation. (the faces, edges, and angles are all the same within each shape. 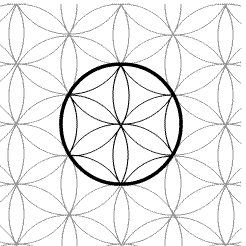 Each one can fit (pattern of 13 circles) (pattern of 13 circles) (pattern of 13 circles) shapes in existence that satisfy these conditions, which makes these shapes so special. Straight lines are considered to be associated male dominate mind, whereas curves to the female dominate mind. 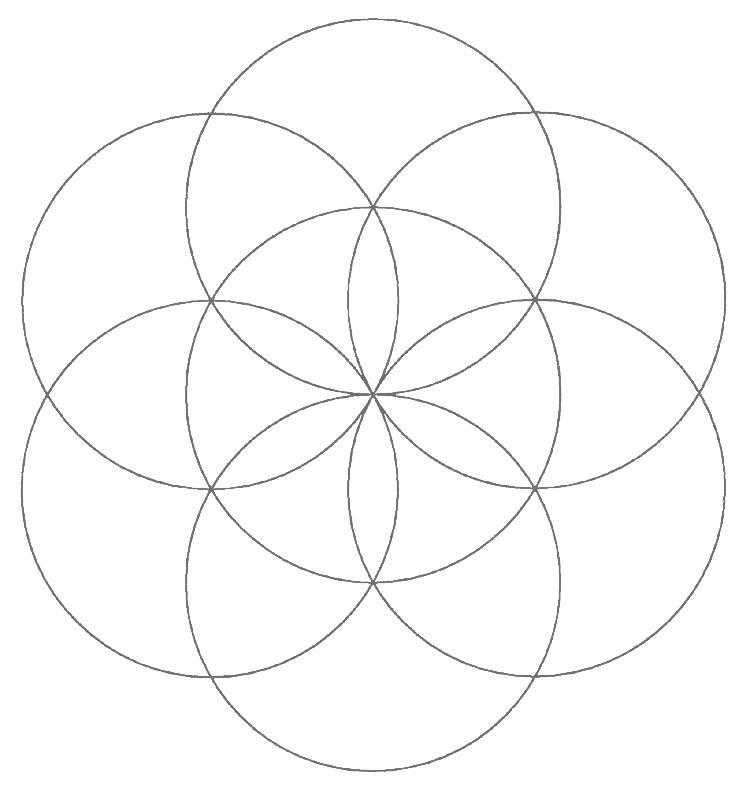 Circle symbolizes eternity and its omnipresent, the square represents the creation of providing life. 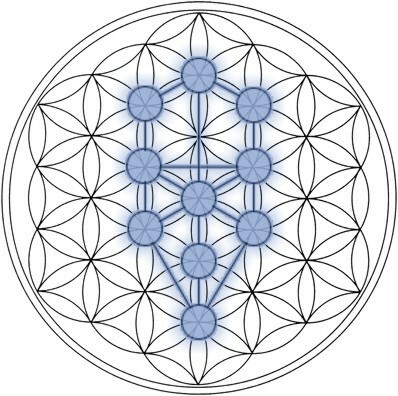 “the square is a form of god within his eternal form, the circle” This is where the holy cross comes from when the 4 points are connected, since the concept of a holy cross existed in Egyptian times before the time of Jesus Christ. 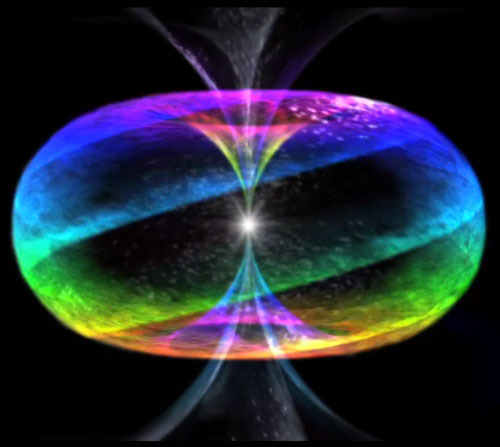 After 7 spheres have been created (seed of life) a torus (most unique, primal shape… DNA is really a torus because within the last few years they’ve shown that DNA doesn’t start and end out of nowhere, but wraps around itself to form a torus shape) is resulted after being spun around a central point. 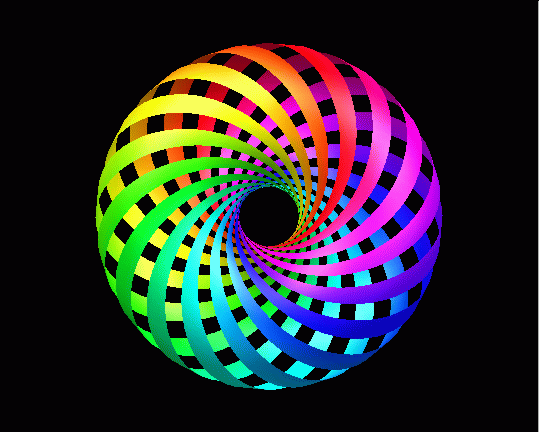 This is the only shape that can fold in upon itself, and composed of 7 equal segments which can be displayed visually using the 7 colors of the visible light spectrum. 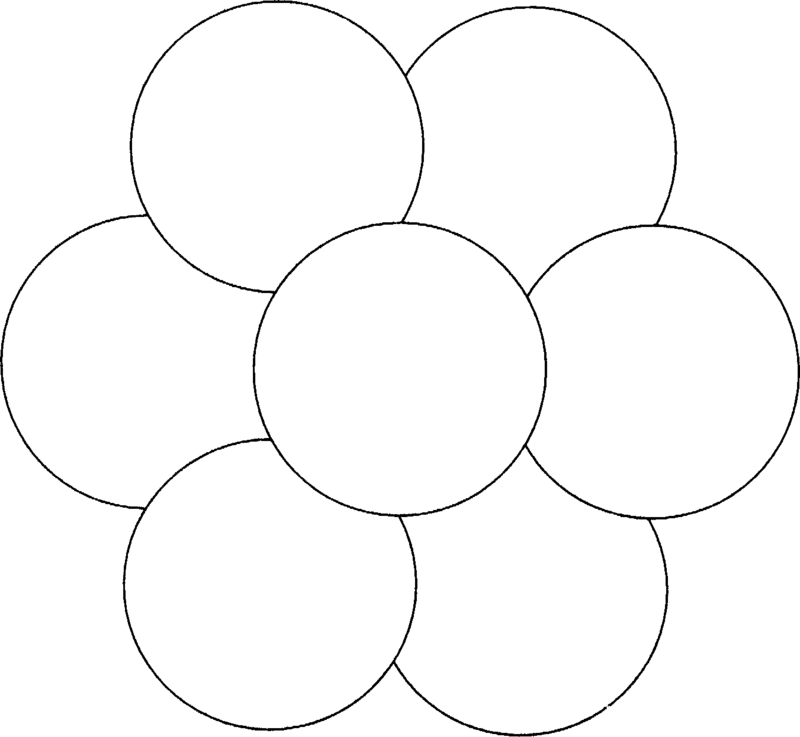 There are extra shapes that can be extrapolated from these shapes kwon as the 13 Archimedean solids. When the water and energy platonic shapes come together to form an Archimedean solid, it creates the symbol of all life. 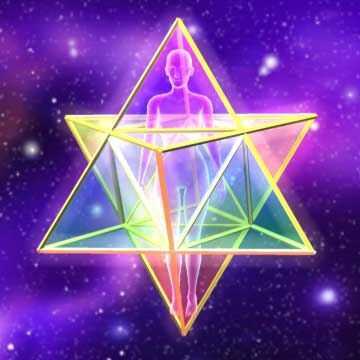 Merkabah (star tetraheadrean fits perfectly inside of a sphere from fruit of life)(8 egg of life and fits inside a cube) The tetrahedral facing upward represents masculinity and the tetrahedral pointing downward represents femininity. 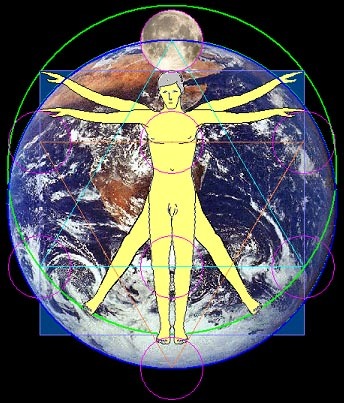 Proportion of the earth and moon are exactly found in Leonardo Da Vinci's Vitruvian Man. Great Pyramid dimensions found when triangle is connected. No one really knows what energy is, but we do know that it exists in several forms and we have formulas to predict what energy does in its various forms. We only know how to describe the characteristics of its various manifestations mathematically; despite what mainstream science will tell you. We also know how to harness it, concentrate or bundle it, redirect it, transform or convert it, and so on… but again “no one really knows what energy is.” Just like gravity we can describe it in terms of its effects and give mathematical equivalencies to predict potential effects, but its composition and origin are mysterious. 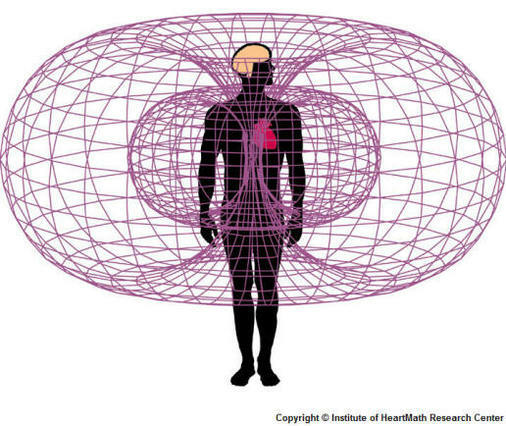 We only know what energy is when it manifests onto matter in the form as: heat, light, electromagnetic radiation, etc. We can prove energy by its material effects, but that’s only a very limited knowledge, because the “physical” is only a tiny part of the whole. 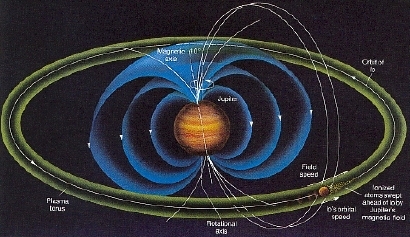 Also, just like with gravity most of what we know is at the macro level only. It is at the quantum level that this knowledge breaks down and needs a new explanation. Mathematics is a language, in truth it can be said it’s the only language of god of which he speaks. All of this is certainly something you would never be taught of in school, although interesting to note is that there was at one time a school that taught all of this and much more. It was regarded as the most secretive school and organization… and as the head teacher was Pythagoras (also known as the father of mathematics and music). He claimed he was telepathically contacted by Thoth to travel to the great pyramids of Giza, where he said he learned everything that he went on to teach. 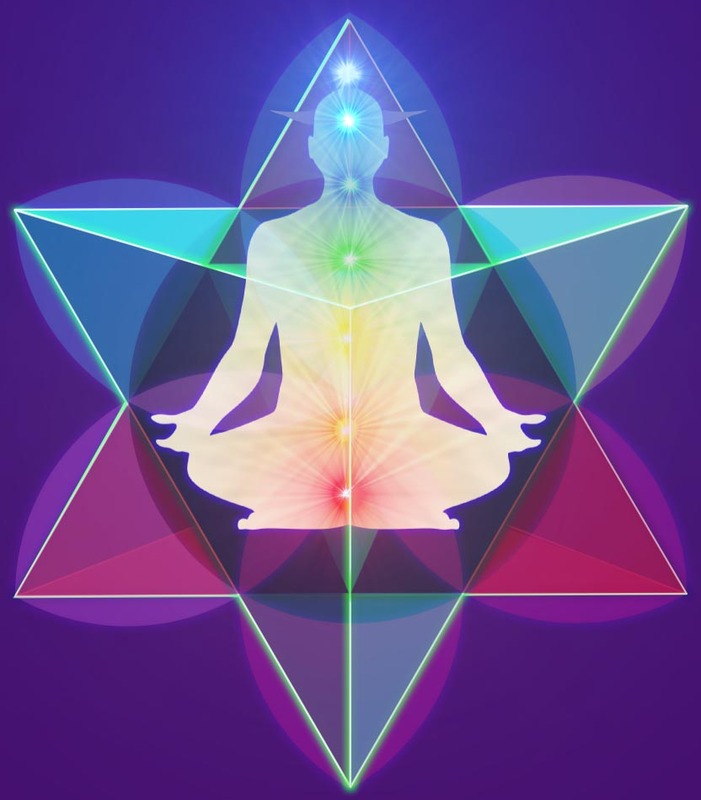 In recent times Drunvalo Melchizedek claims to have been contacted by Thoth as well, and now possesses all of this knowledge and has written a few books about it. Heck, even Nikola Tesla claimed he was receiving telepathic messages in his mind, which guided him to become one of the greatest (if not the greatest) inventor that has ever lived. This all goes to show that there is clearly a lot that has been kept hidden from public knowledge, maybe because of fear since we don’t understand it all or maybe because there are people that want to keep all of this secretive for other reasons, either to protect us or maybe to control us, who knows anymore.